DEADLINE DAY: West Ham United have enquired as to the availability of Chelsea strikers Michy Batshuayi and Olivier Giroud, according to the Daily Mail. Just days after Alvaro Morata’s 18-month loan move to Atletico Madrid was officially announced, you could be forgiven for thinking that the club would not be allowing another striker to leave this window. It would leave Gonzalo Higuain as our only natural option. That is, though, only if it were Olivier Giroud to depart, and not Michy Batshuayi, who has spent the first-half of the season out on-loan at Valencia – with little success. Batshuayi will be sat hoping that he gets a call from someone today. Could it be West Ham? The Daily Mail believe that both Batshuayi and Giroud are on West Ham’s shortlist. 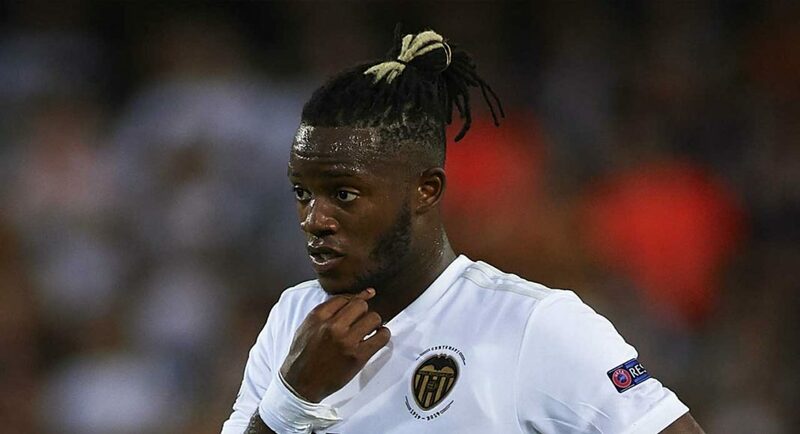 While it’s difficult to see them having any chance of landing the latter, a loan stint in East London could be exactly what Batshuayi needs in order to get the goals flowing again. West Ham will have to hurry up, with the transfer window coming to a close later this evening. Not to mention that Everton are also thought to be keen on the Belgian. We’ll have to wait and see how this situation resolves itself over the coming hours.